In the current payment models, payments are risk adjusted, which makes it extremely important for every risk to be tracked and accounted for during reporting processes. 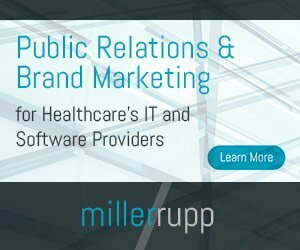 Generally one risk point equates to $10,000 in Medicare contracts, therefore downcoding any patient’s data erroneously could mean thousands of dollar loss for the healthcare organization. It has been observed that around 15 percent to 25 percent of the risks are downcoded. So for instance, if an organization has downcoded 15 percent of the risks erroneously equating to 1,500 points, that would be roughly equal to savings opportunity worth $15 million. With healthcare IT going leaps and bounds, there’s little doubt that healthcare organizations will leverage these insights and apply them to clinical data management in the future. Advanced analytics capabilities have the potential to not only impact the bottom line of a health plan, but to also improve population health management and help makes organization informed decisions about premium pricing, membership expansion, bid rate calculation, etc. Risk adjustment models and their correct implementation is central to achieving high-quality care. With the growing importance of value in care, the challenges in implementing a broad risk-adjustment framework should be countered to protect physicians from inadequate compensation and provide high-need patients with adequate care. Regardless of changes in administration and patient population, there is one common belief that stays true: complete, accurate and value-based care. Only time will tell how successful any one risk adjustment model will be, but the fact that risk adjustment is fundamental to value-based care delivery is indispensable.